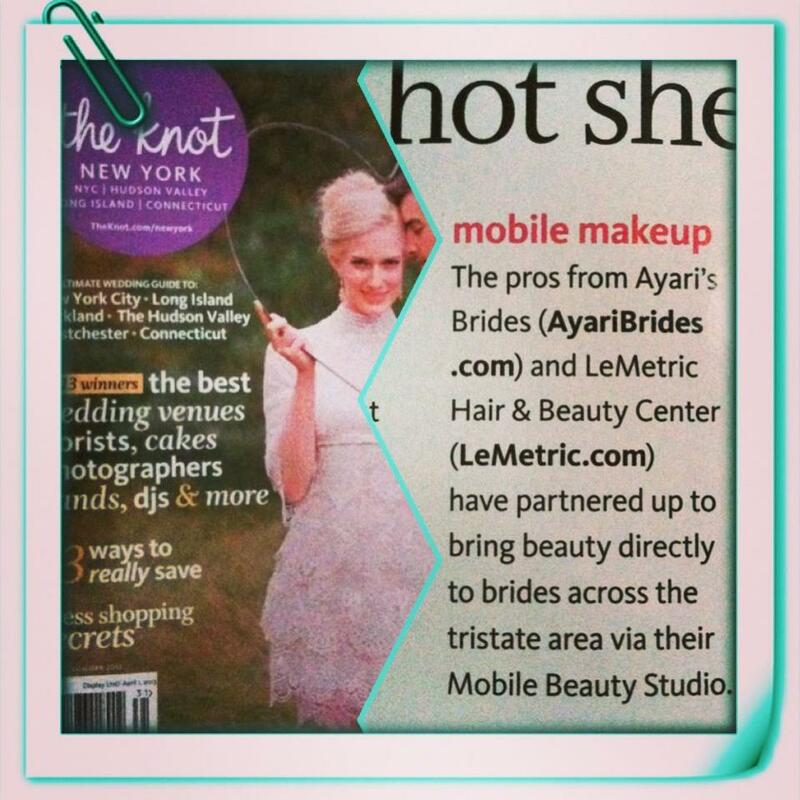 LeMetric Hair and Beauty Studio is excited about our blurb on wedding guru magazine, The Knot for Spring/Summer 2013 for the NY Metro area. Featured on the wedding hot sheet section (page 48) that displays ‘buzz-worthy wedding vendors’ in the Tri-State. With the help of Ayari’s Brides we bring beauty directly to clients with our mobile makeup and hair solutions for brides on the go. Our Mobile Beauty Studio is great for weddings as we intend to bring not only a convenience but an experience to our clients on their special day. We are also excited to promote that we plan to partner with other makeup artists, stylists, et al. that also want to create meaningful experiences for women on days such as their weddings, quinceañeras, and any other big day. Don’t miss out on this Spring and Summer 2013 edition of The Knot! If you have any inquiries on scheduling our Mobile Beauty Studio for your big day, please call us at (212)986-5620 or email us at info@lemetric.com.